Siem Reap hotels – Search for discount hotels in Siem Reap with lowest rates guaranteed. 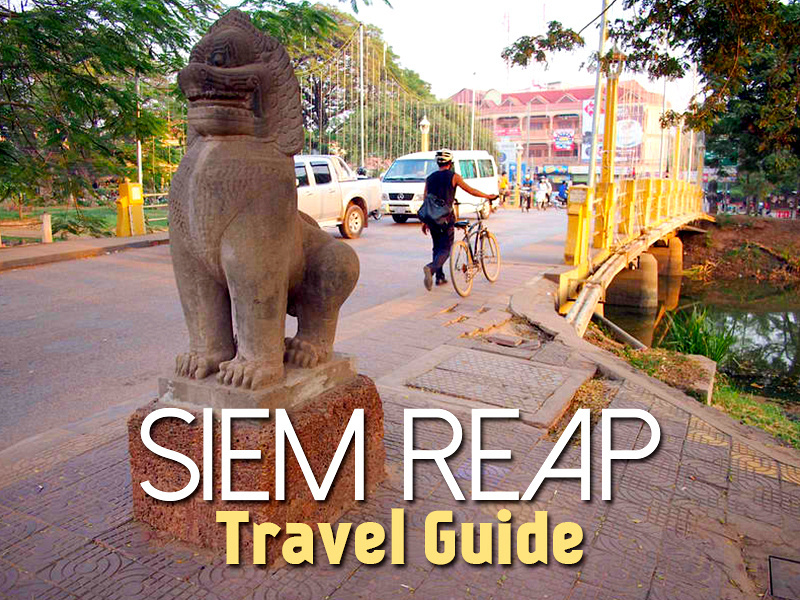 Siem Reap – Tourism department website. Angkor – Official UNESCO World Heritage Centre information. Siem Reap Cambodia – Guide to Angkor Wat and Seam Reap. siemreap.net – A guide to the temples of Angkor Wat and information on Siem Reap for both visitors and expats. Angkor Sunsets – There are some famous sunset hotsposts at Angkor, so this site gives you all the options. Information includes likely crowd turnouts, transport options, and ambiance. Siem Reap City Guide – nomadicsamuel.com. Curious Cambodia – A solo travelers journral – bucketlistly.com. Siem Reap, Cambodia: My bucket list of “I Love” – travelandcount.com. Tips and things to know about Siem Reap and digital nomad life: one month in Siem Reap – soloflighted.com. Siem Reap Tours – Things to do and tours in Siem Reap listed by Viator. Siem Reap Photo Gallery – Photo gallery of Siem Reap. Looks like Siem Reap has become a place to visit in itself. It was quiet and dusty when I first visited and I would love to go back.